Whether you purchased your vehicle new or used, it was hard earned money spent. You should consider auto detailing just like any other maintenance – to extend the life of your vehicle and protect your investment. Regular detailing will prevent your vehicle’s clear coat from breaking down prematurely and prevent plastics form fading from UV rays. When you apply a quality wax or sealant to your car’s exterior, it will serve as a protective barrier and prevent any dirt or debris from scratching or marring the paint. If you plan on selling your vehicle in the future, consider scheduling regular detailing appointments. By preserving the cosmetic condition of your vehicle, it will have a higher reseller value and will be more appealing to buyers. If you are visiting customers on a regular basis, a clean and organized car says a lot about you and indicates professionalism. This is especially crucial if your job requires picking up clients and driving them places, such as real estate agents. If you are a general contractor or technician, a clean vehicle shows that you are organized and detail oriented. This reassures customers that you will keep a clean and organized environment while working in their home. Nothing beats stepping into a freshly detailed car that looks and smells great. Think of a clean vehicle like an organized work space. Imagine trying to work at a desk cluttered with random papers and sticky notes. Chances are you will have a hard time focusing on the job at hand. It is human nature to feel better and less stressed when things are tidy and free of clutter. For example, driving in a clean car on the way to a work meeting will help you clearly collect your thoughts and prepare without the distraction of stains, a dirty windshield or unwanted odors. Did you know that a glass coating can significantly improve your driving in inclement weather? The rain water will instantly bead off the windshield and windows, drastically increasing your visibility. Also, your glass will stay cleaner longer as the coating will prevent dirt and debris from sticking. UV coatings on the headlights wear off over time causing the lenses to become cloudy and decrease the amount of light emitted. But applying a headlight coating during an auto detail can improve your nighttime driving. 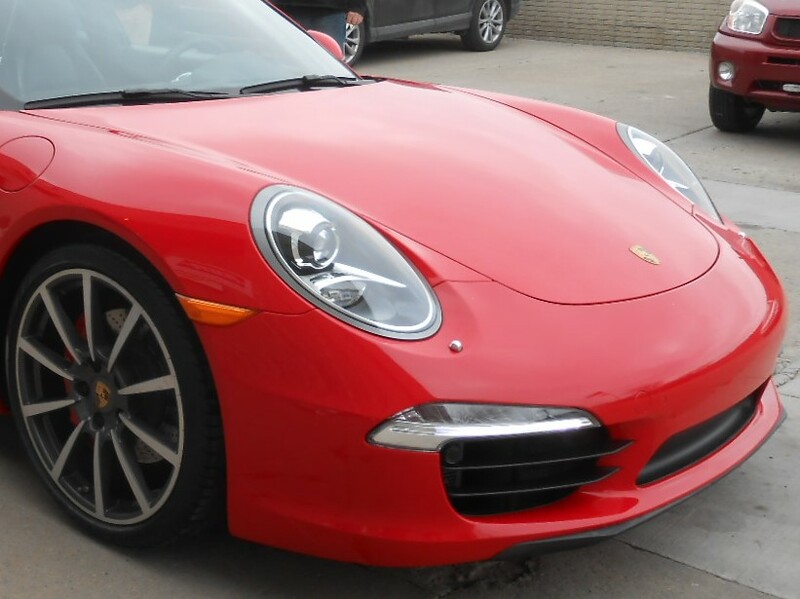 Looking for Car Detailing Services in Macomb County, MI? Pole Position Auto Body is located in Warren, Michigan and specializes in collision repair as well as interior and exterior auto detailing. Our car detailing services include: Clay bar, wax, and polish the exterior, shampooing and extraction of the carpets, mats, and seats, wipe down all hard surfaces and windows, cleaning of the headliner and visors, touch up paint chips, leather condition seats (if applicable) and air freshener.